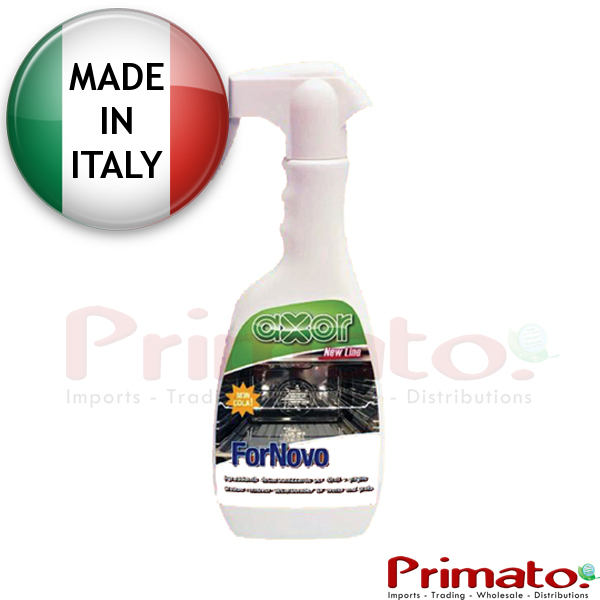 Cleans fats, dirt and carbons from ovens. It forms jelly around the dirt, making it more effective, even when sprayed on vertical surfaces. Code: D 350. Packaging: 500 ml Bottle with spray gun. Spray the cleaner on the surface you want to clean. Let it act for a few minutes and then clean it.